Beautifully simple, reassuringly rustic and moreish to boot. Here’s my recipe for open-baked mussels that my children can’t get enough of. It’s a reasonably cheap dish that’s definitely crowd-pleasing comfort food, and yet I believe it to be equally worthy of any dinner party. Clean and sort through your mussels, removing beards and discarding any open (dead) ones. Pop the mussels in a pot with a sprinkling of shallot, parsley stalks and the white wine (or water). Cover with a lid and steam the mussels for 4 minutes. Discard any mussels that didn’t open during cooking. Remove half of each mussel shell and lay the full halves out on a baking sheet. Blitz the sourdough bread in a food processor to make a crumb. mix in the rest of the finely diced shallot, crushed garlic, chopped parsley leaves, ham, lemon zest and diced tomato. Add a good glug of olive oil and spoon the mix over the mussels. Bake in the oven for 10 minutes until golden brown. Serve with french fries and mayonnaise for a glorious experience. I adore Gratin Dauphinoise for the luxurious, comforting satisfaction it brings to the table, but sometimes, just sometimes, the calorific creaminess of this French potato dish is too much. Named after the baker’s oven in which it would have traditionally been cooked, this is an absolute classic which transports me to France at the first taste. The size of your ovenproof dish is quite important, much like when making a lasagna. Preheat the oven to 180°C (160°C fan). Slice your potatoes as thinly as possible using a mandolin or food processor. Place a layer of potato slices in the dish, top with a layer of onions and season. Repeat the layers in order, placing a bay leaf in the middle layer. Finish with a nice even layer of potatoes and pour over the stock. Season, sprinkle with thyme leaves and place a bay leaf on top. Bake for around 1 hour until the potatoes are cooked through and the top is beautifully golden. 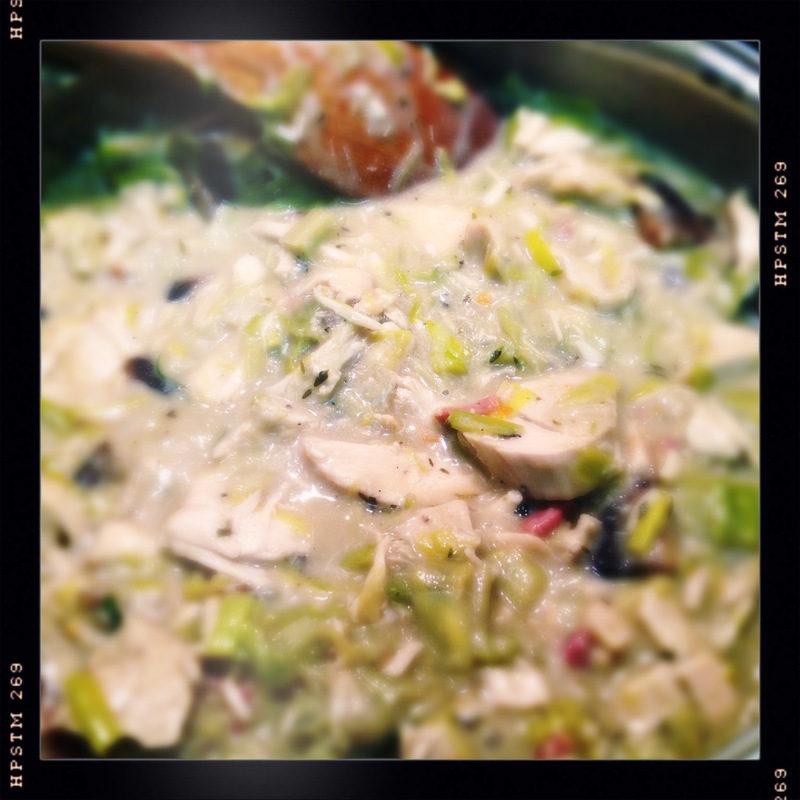 November challenge #3 for Jamie Oliver’s Food Revolutionaries: ‘Holiday Traditions’. 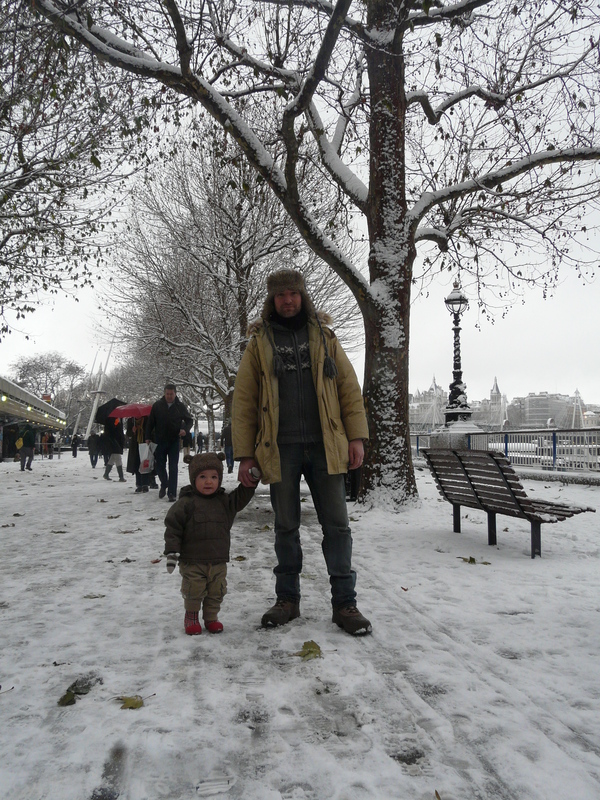 I instantly imagined this as a bit of a montage as I’m completely smitten with all things Christmas. So, holiday traditions and food for your family gatherings… Easy. I’m not going to pretend that I don’t have a ‘Christmas Book’ and start planning a couple of months in advance (you have to if you’re going to make all the good stuff from scratch…). Heavily booze-soaked Christmas cake and sloe gin are well worth the early effort. Hampers. Who doesn’t love a hamper? I’d use an interrobang at this point if only my keyboard supported it. I’m not sure I’m even too fussed what it contains, a hamper is a both exciting and practical whatever the festivity. 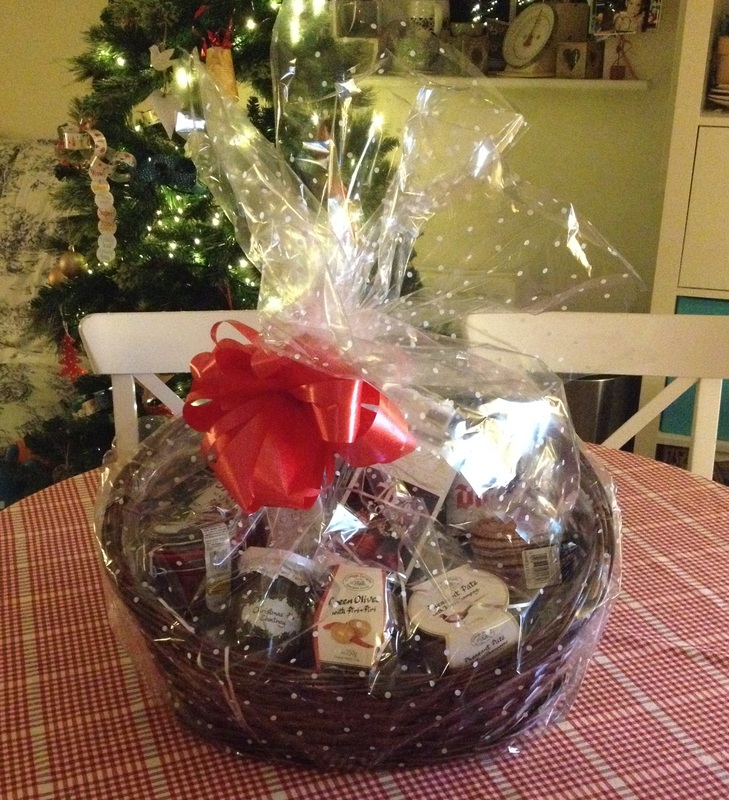 It’s even more special when someone makes up a hamper from scratch for you. 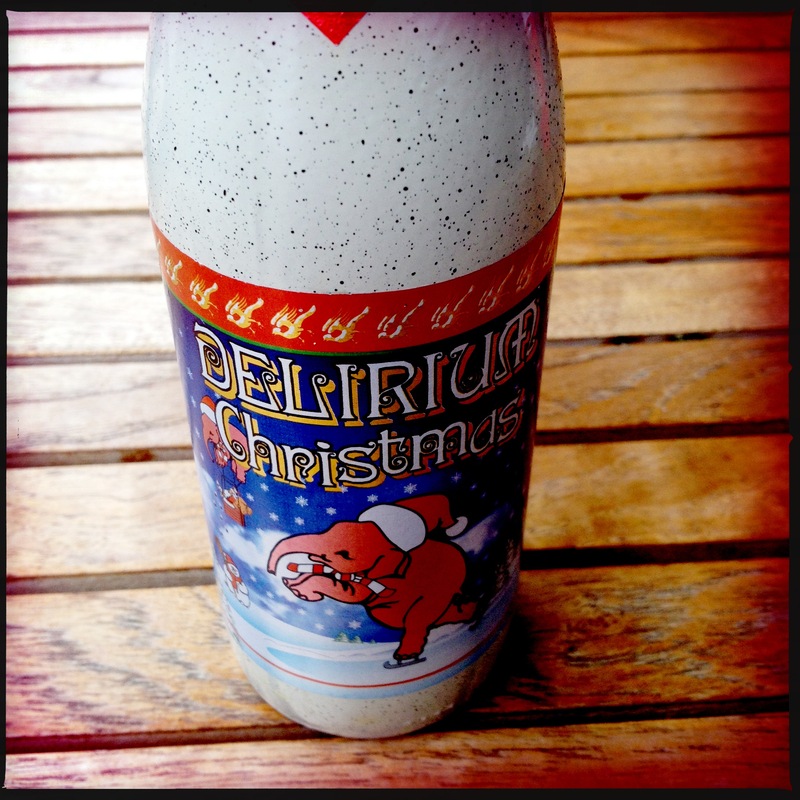 Christmas Ales. I love dark, heavy and flavoursome beers and it’s a real treat when all of the special festive brews hit the shelves. Even better if it’s Belgian. Here’s a favourite of mine. Brussel sprouts (Brassica oleracea) on the stalk. 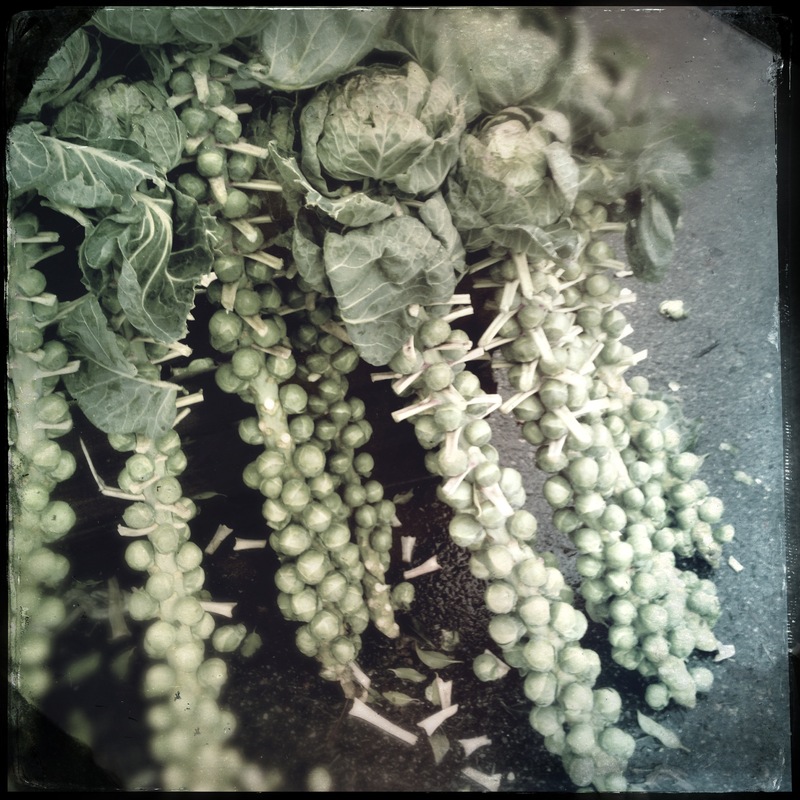 For some crazy reason, you only seem to be able to buy sprouts on their stalk at Christmas. What’s with that? Christmas Butter. Useful stuff for poultry of any kind. 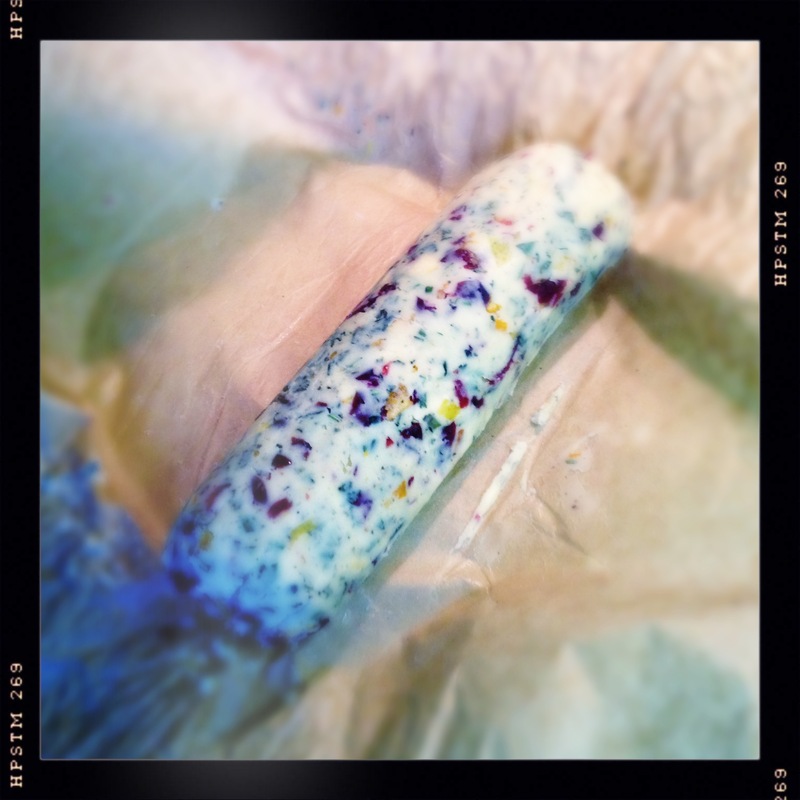 You can make it well in advance and pop it in the freezer. I usually use cranberries, orange and lemon zest, sage and all the generally festive ingredients. 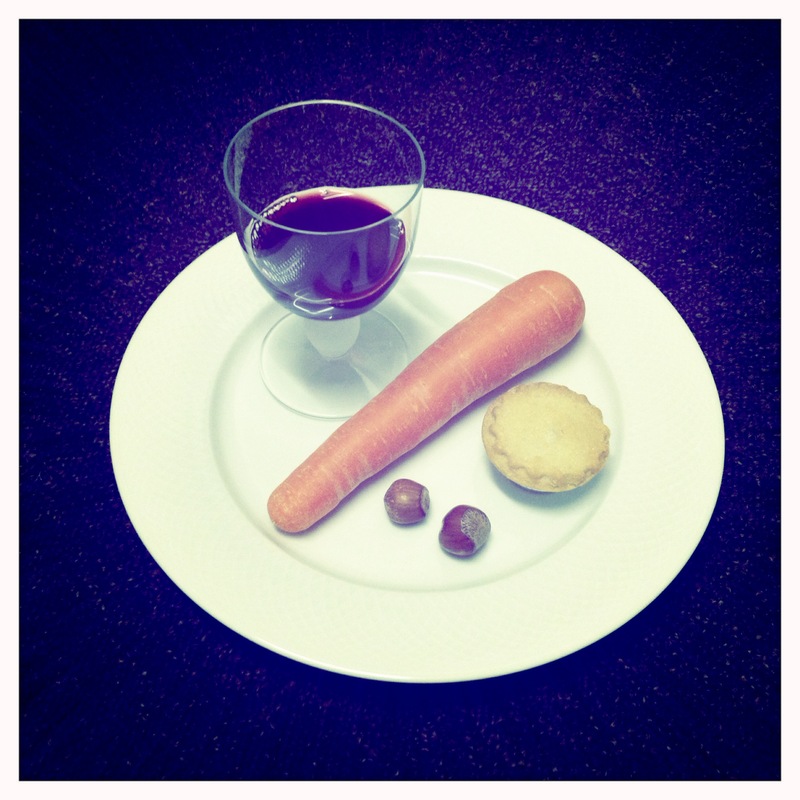 Santa Sustenance. I suspect I might get a little dreary about this tradition one day, but hopefully the children will have sussed it all out well before then. That said, the port is particularly welcomed by the time I get to finally indulge. Do reindeer even eat nuts? Hash. Continuing the leftover theme, I honestly look forward to boxing day more than the main event. This is probably the ultimate in comfort food eating. We are all guilty of cooking far, far too much food at Christmas, but use fantastic ingredients. The rule; there isn’t one. 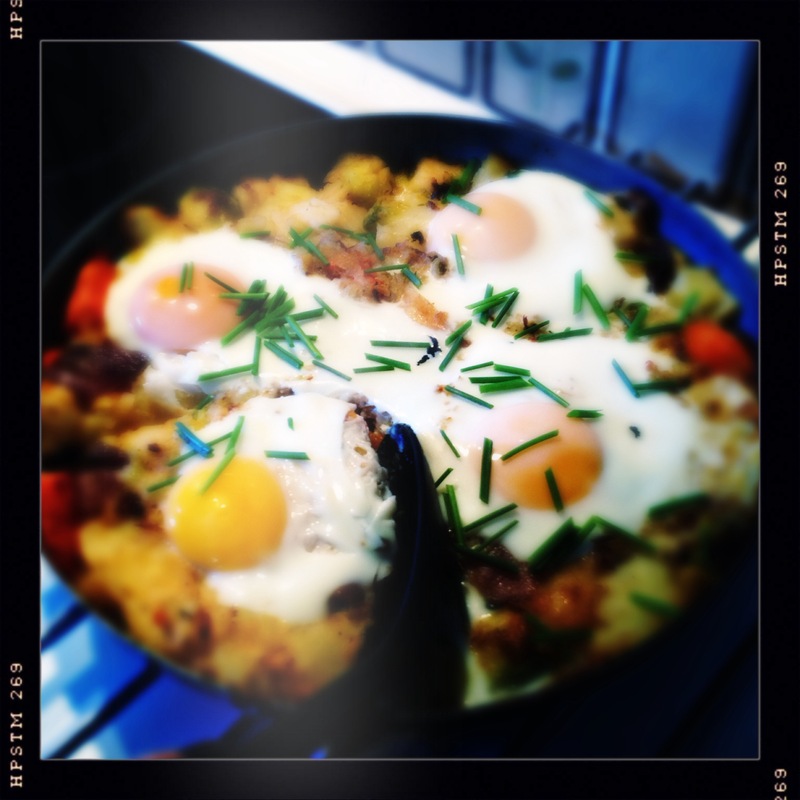 The beauty is that you can use whatever you happen to have left (plus eggs and maybe some hot sauce depending on how late you partied…). Pie. Again, this tends to be a boxing day dinner based on cooking too much the day before. Never be without a block of puff pastry in the freezer during the festivities. Turkey, ham, mushrooms, crème fraîche and a couple of leeks. Heaven. Obviously this also lends itself to pretty much anything you have to hand. Have fun, indulge, and above all, spoil the younglings. November Challenge time for Jamie’s Food Revolution Ambassadors. 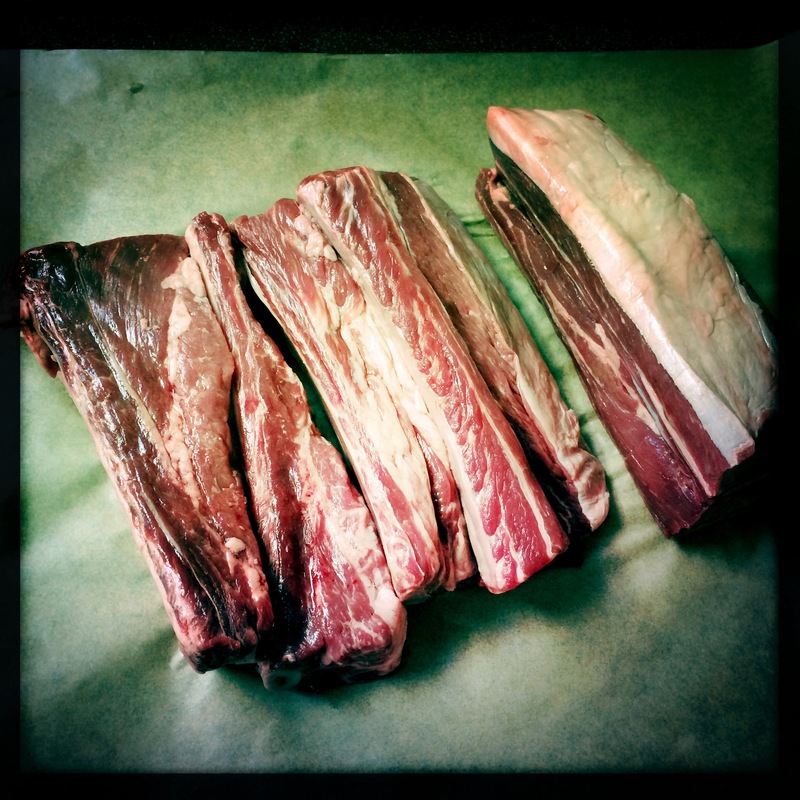 I’m forever searching out great cuts that lend themselves to slow cooking. Not only is there something terribly satisfying about transforming hunks of meat into monumental dishes that make your guests smile from ear to ear, but they’re always fantastic value for money too. I love picking up things that I haven’t cooked before, or that I’m not really sure how to deal with. The internet provides us all with the confidence to go out on a limb as we’re spoilt for recipes and advice. At this time of year it’s easy to go off anything that’s ‘quick cooked’. When it’s cold and tempestuous outside, can a rare fillet steak really beat a daube de boeuf, belly pork or 6-hour shoulder of mutton? So here we go. 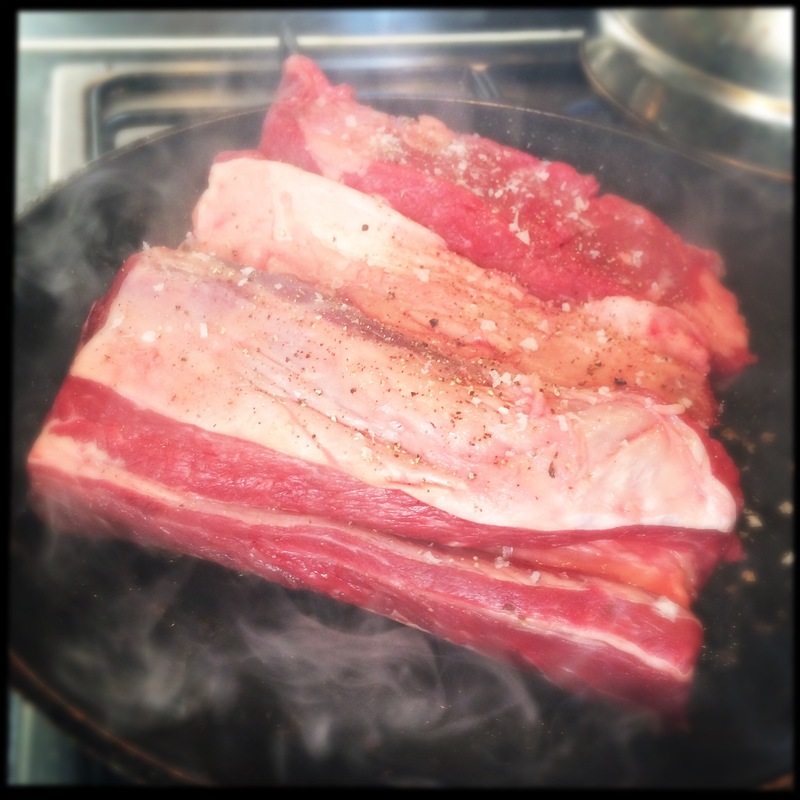 Our local Waitrose have started stocking Short Rib of Beef (a great price and also on introductory special offer: £4.66/kg). Cooked it before? No. Know how to cook it? No. Perfect. First of all give them a good searing in a hot pan. 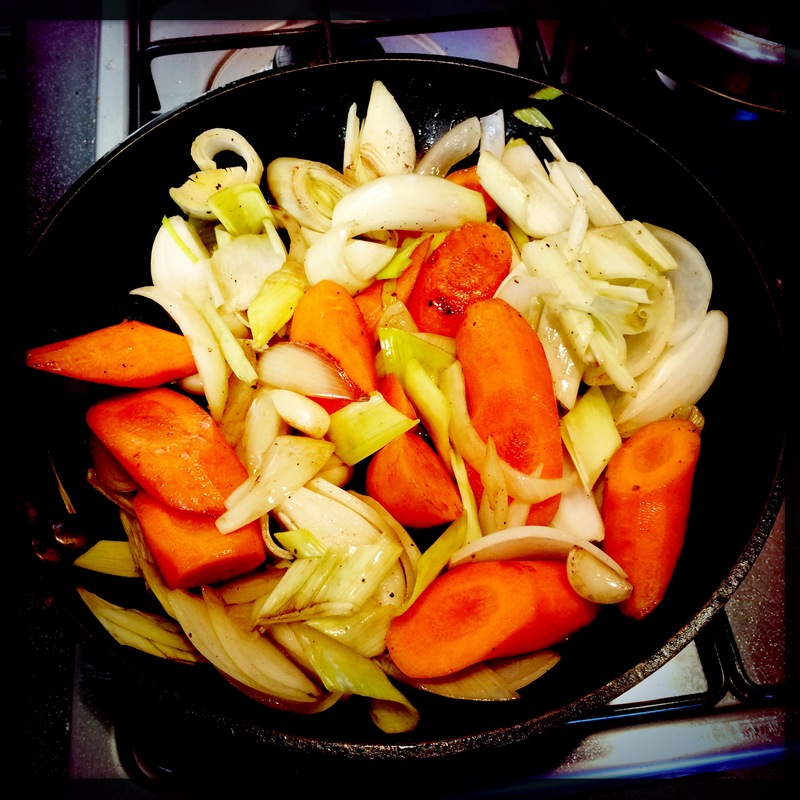 Once they’re nicely browned, set them aside and using the same pan, fry off some onion, celery, leek and garlic. 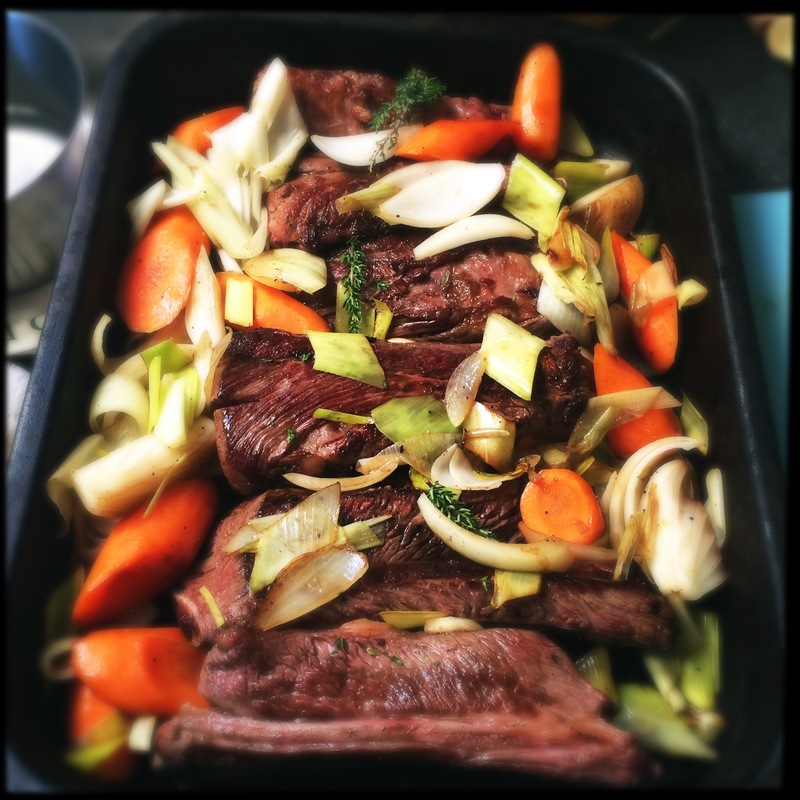 Combine everything in a roasting tray with some sprigs of thyme. Add a tin of tomatoes, a large glass of red wine and about 300ml of beef stock. Pop them in a pre-heated oven at 170 degrees centigrade and cook (uncovered) for about 2 hours 30 minutes or so. 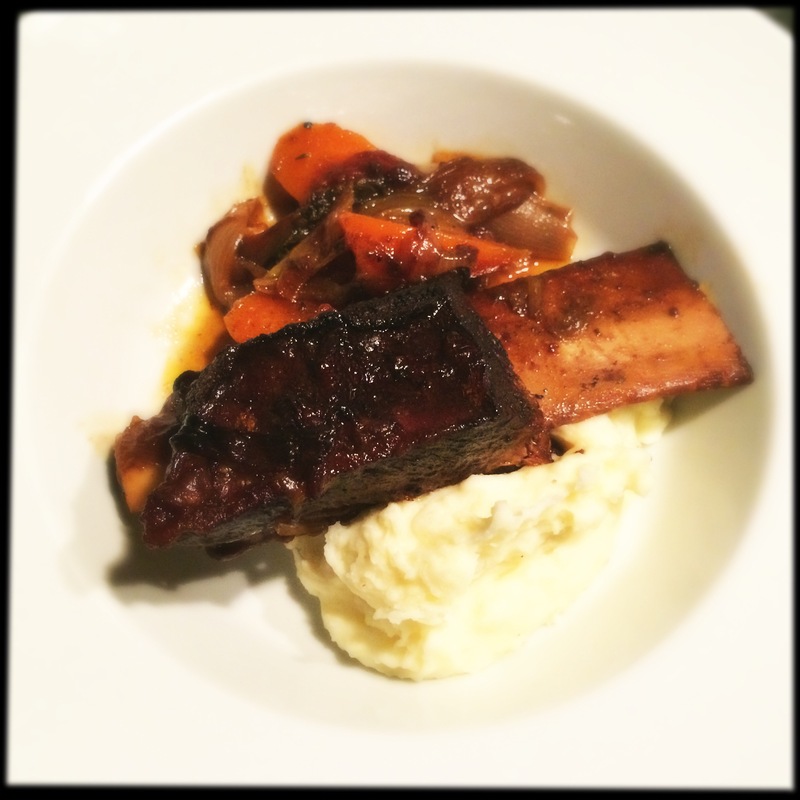 Whilst the anticipation builds, think about preparing some greens to accompany the short rib. 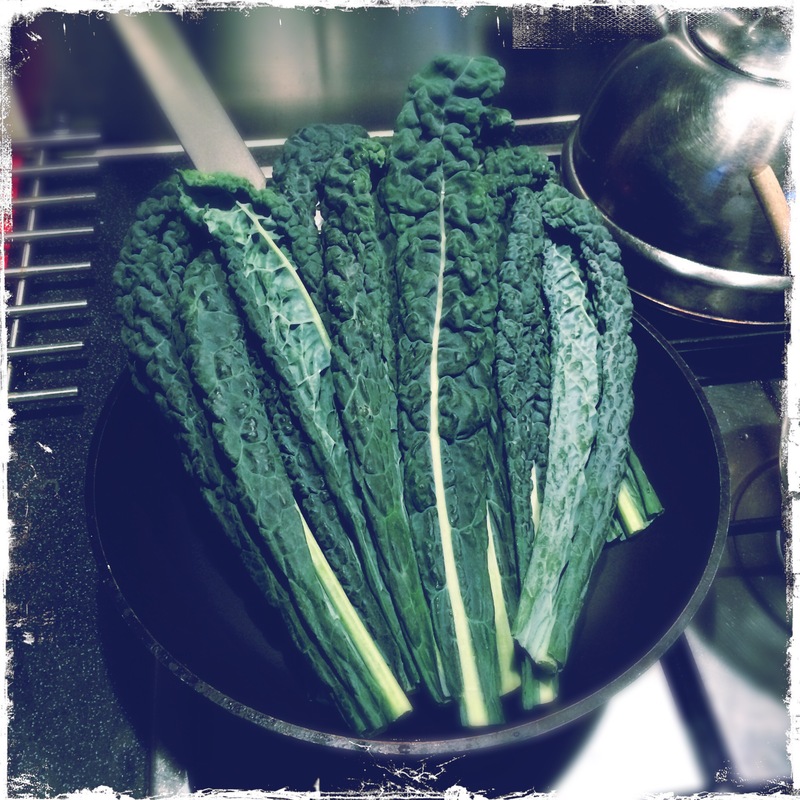 Cavalo Nero is a firm favourite in our household. Surprisingly straight forward, yet elegant and suitably satisfying. Next time you see an ‘unusual’ cut, a whole tongue or some tripe, be brave! Buy it, and then you’ll have no choice. Treat it with respect and a dash of love and you’ll be overwhelmed by the results.